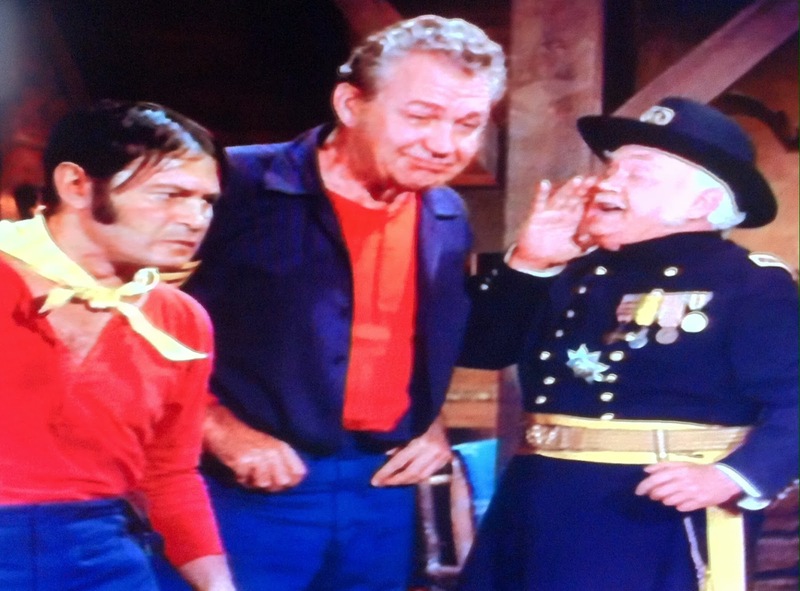 F TROOP: "Our Brave in F Troop" (Season Two, Episode 64; Original Air Date: March 30, 1967) Starring Forrest Tucker, Larry Storch, Ken Berry, Melody Patterson, Frank de Kova, Don Diamond, James Hampton, Bob Steele, Joe Brooks. 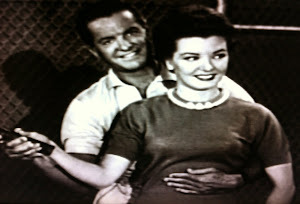 Guest Stars Cliff Arquette and Hal England. 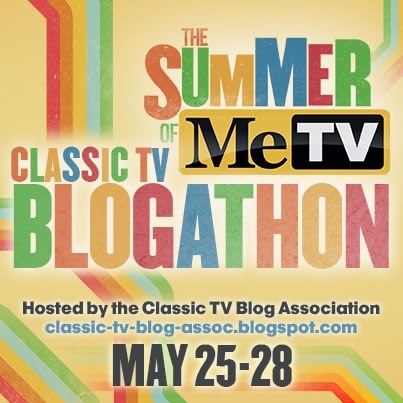 Written by Austin and Irma Kalish. 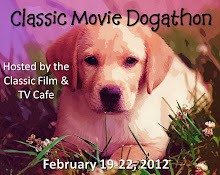 Directed by Seymour Robbie. 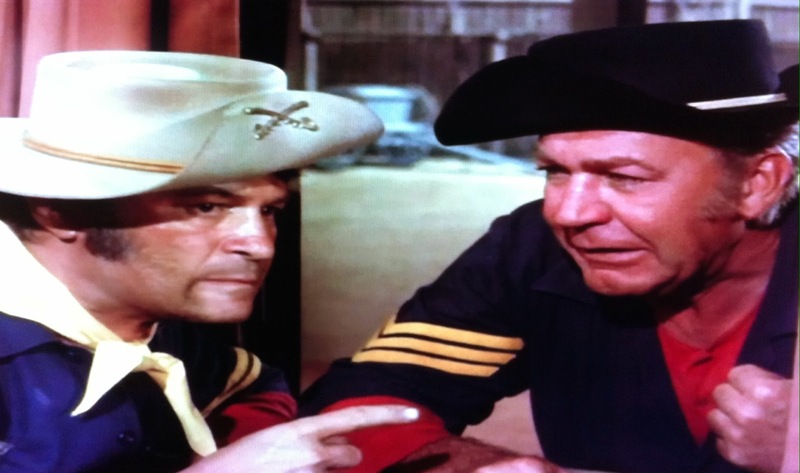 This edition of F Troop Fridays doubles as The Horn Section's contribution to the Favourite TV Show Episode Blogathon hosted by Terence Towles Canote. 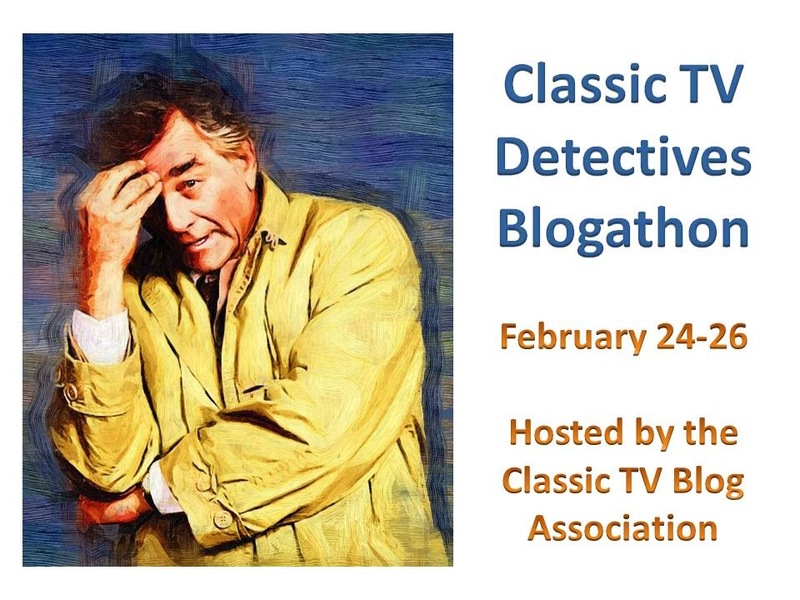 Terence's blog A Shroud of Thoughts is "dedicated to pop culture in all its forms". 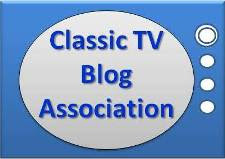 I highly recommend you check it out; you're likely to become a regular visitor like I am. 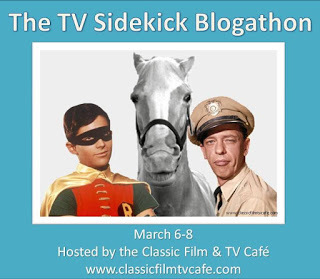 For The Horn Section's contribution, we look at a classic episode that told the story of an ambitious and unconventional young officer who stood out in the 1860's with his distinctively long hair. His rapid rise through the ranks astonished his fellow United States Cavalrymen. We fade in on the Hekawi camp, with Crazy Cat (Diamond) assisting Chief Wild Eagle (deKova) with the extraction of what appears to be a troublesome premolar. Craze feels that this "modern" method has made ritual chants obsolete, but the old school Chief insists. Either he's a proud guardian of tradition, or just stalling. (My money's on the latter.) Miraculously, the tooth stops hurting and Wild Eagle abandons the extraction (noting that "losing nerve" is better than "losing whole jaw"). 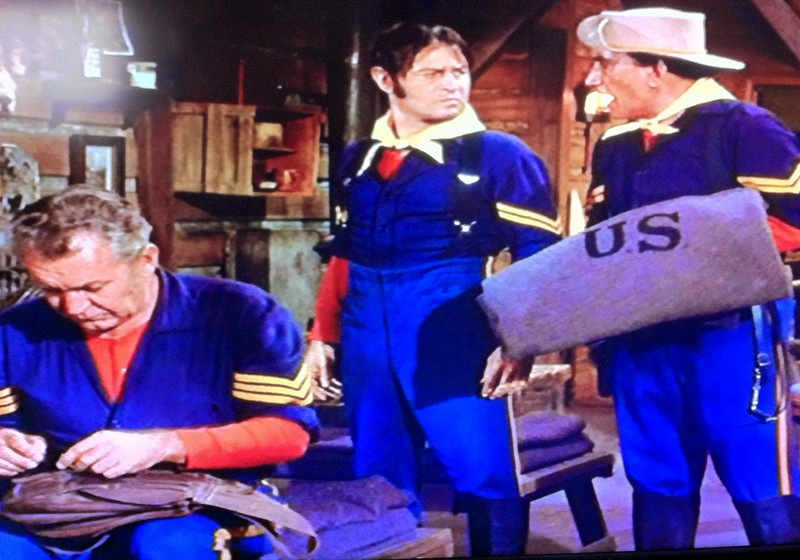 The arrival of business partners O'Rourke (Tucker) and Agarn (Storch) buys the Chief a bit of time. So much for the "miracle": the visitors are greeted with Wild Eagle's howl of pain. The Chief's odontalgia has been active for several nights, keeping the entire tribe awake and slowing production for O'Rourke Enterprises. In addition, a pint of saloon whiskey has been lost to Wild Eagle's effort to dull the aching. The Sarge lets it slip that the army dentist will be arriving to treat the soldiers with an even more modernized method than Crazy Cat's, working with laughing gas--"a new painless method for pulling teeth". A trip to the dentist that's painless--and free? It's enough to have Wild Eagle interested in a temporary tour of duty. Interested, Hell--he insists. 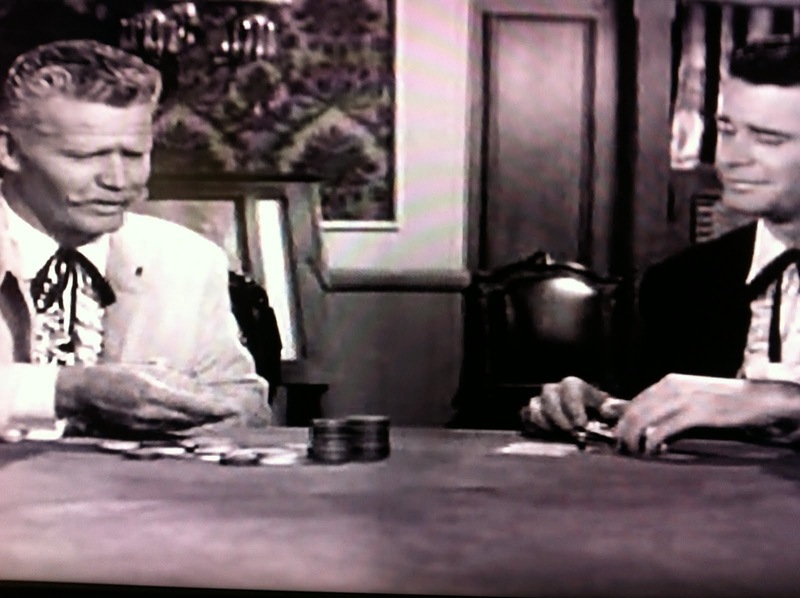 "O'Rourke not come through for Wild Eagle, Hekawis not come through for O'Rourke Enterprises." 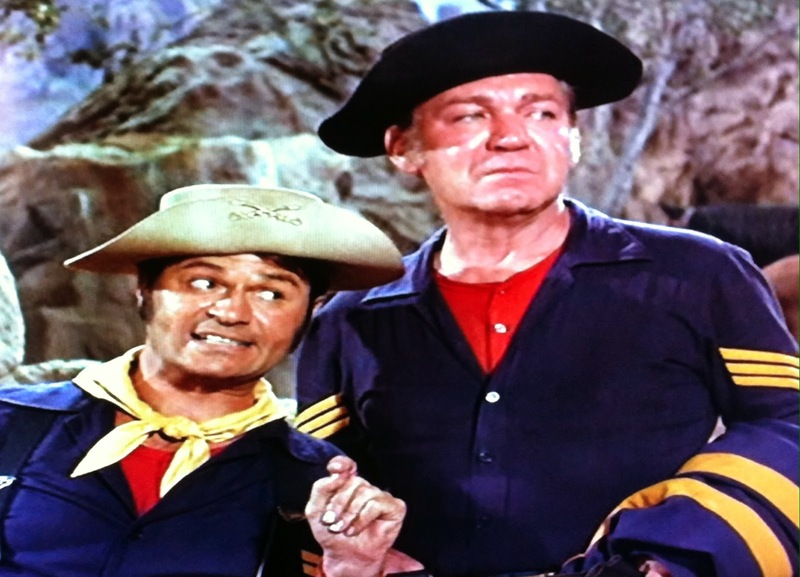 Agarn points out the obstacles: needing to fool the captain and a dentist, a uniform, etc. But we all know by now that profits take priority. 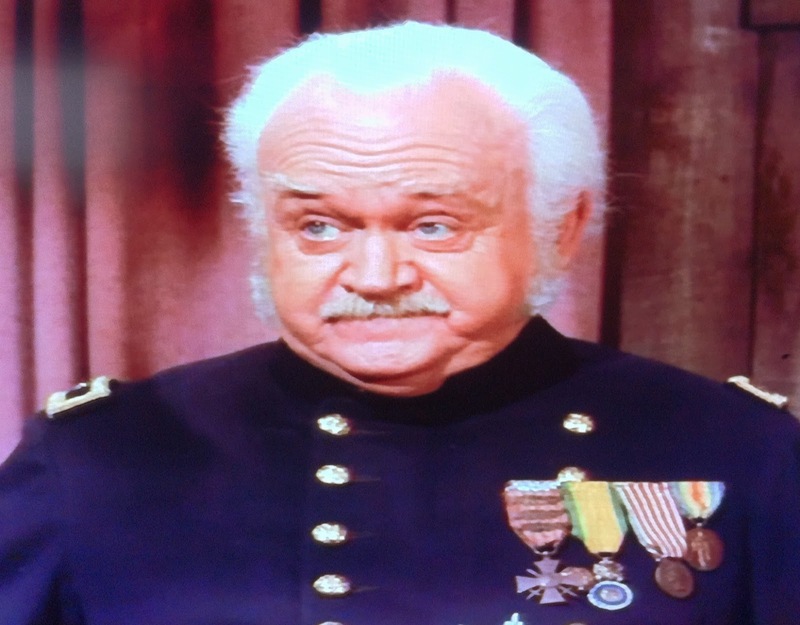 True, a court martial is a considerable risk, but when has that ever stopped Sergeant Morgan Sylvester O'Rourke? 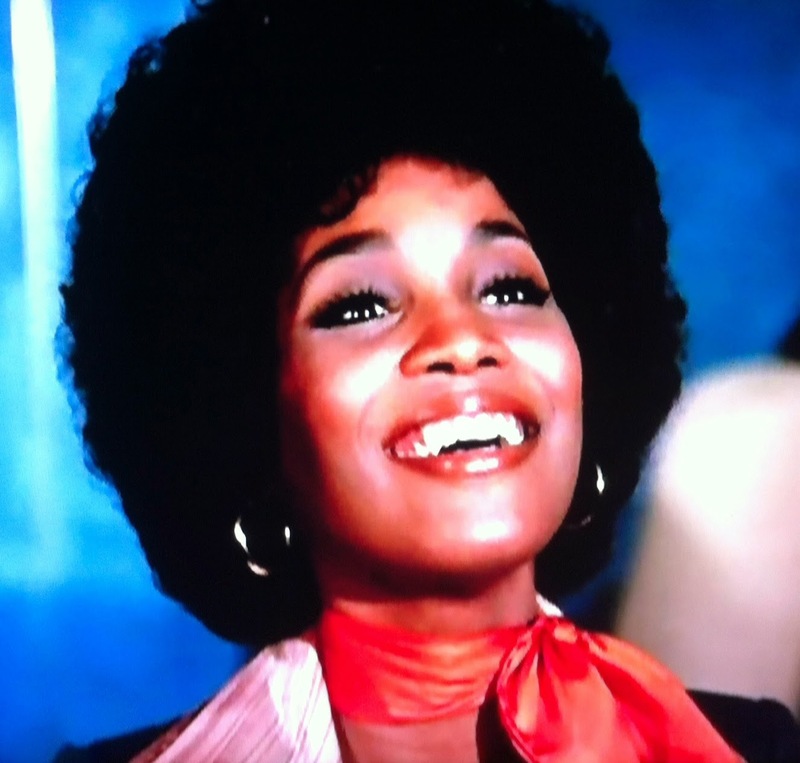 "Straighten up, Soldier--you're in the army now!" Back at the Fort, the non-coms have located a suitable uniform, and have Private Wild Eagle ready for his multi-hour hitch. 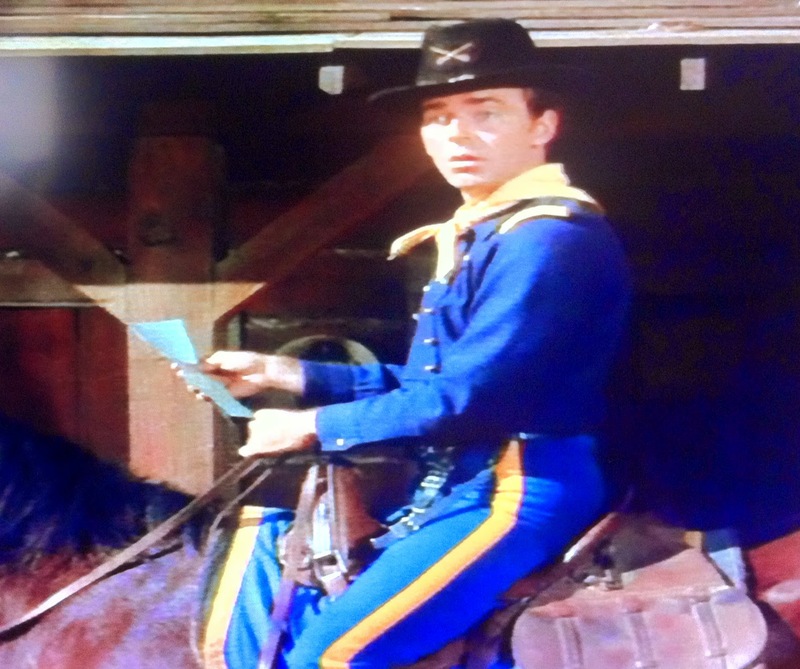 Matter of fact, he looks better in the lineup than about half of F Troop right away. Standing to Wild Eagle's left in formation, Dobbs (Hampton) gives the Hekawi in blue a brief glance, but shakes it off. But can Wild Eagle fool the Captain (Berry)? He's a shrewd one, Agarn reminds us. Parmenter has two news items for his Troop at morning assembly. First, General Sam Courage, the Fort's namesake, is arriving at noon tomorrow as part of his retirement tour. 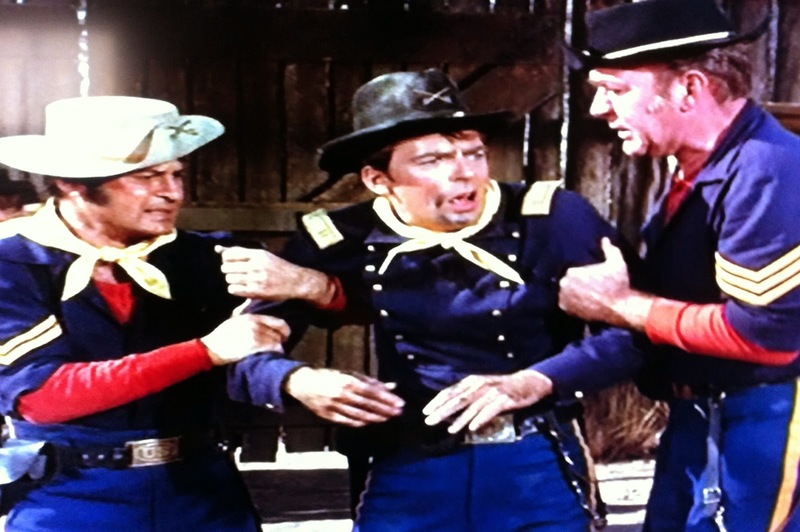 Second, and more important to F Troop's newest member, the army dentist is there now for his semi-annual visit. (Shouldn't that be bi-annual, Captain?) "You know his motto: see your soldiers twice a year!" 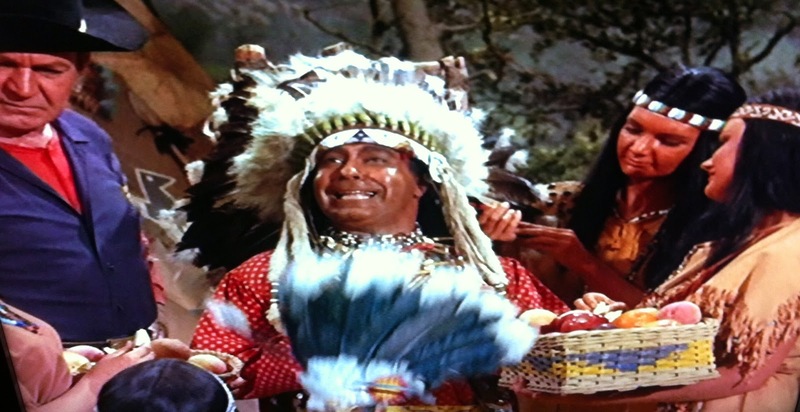 The Chief displays just as phony a laugh as anyone at the Captain's little joke. About a 2.5 on the McMahon Scale. Maybe the laugh was still a little too hearty, since it did pique the shrewd one's curiosity. After dismissal, Agarn quickly escorts the new trooper away, while Parmenter asks O'Rourke who that "somewhat familiar" soldier is. 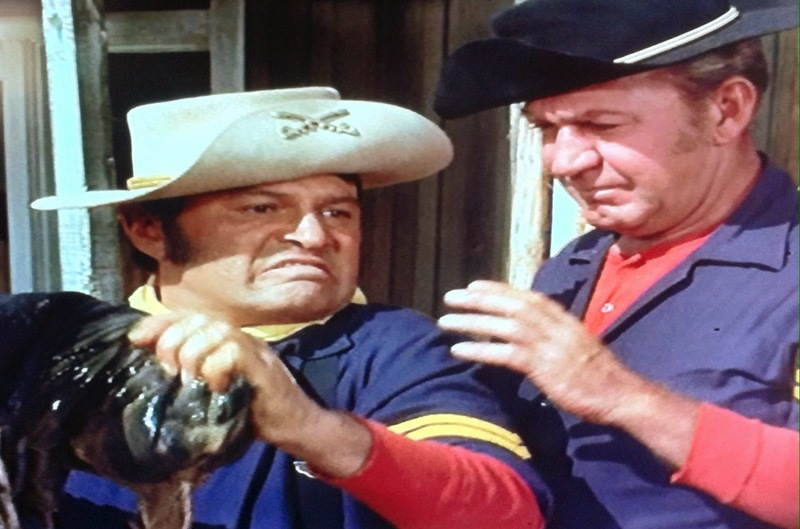 Sarge swats the question away with his customary ease ("Corporal Agarn should look familiar to you, Sir!"). The Captain is too distracted by General Courage's visit at the moment to press further. 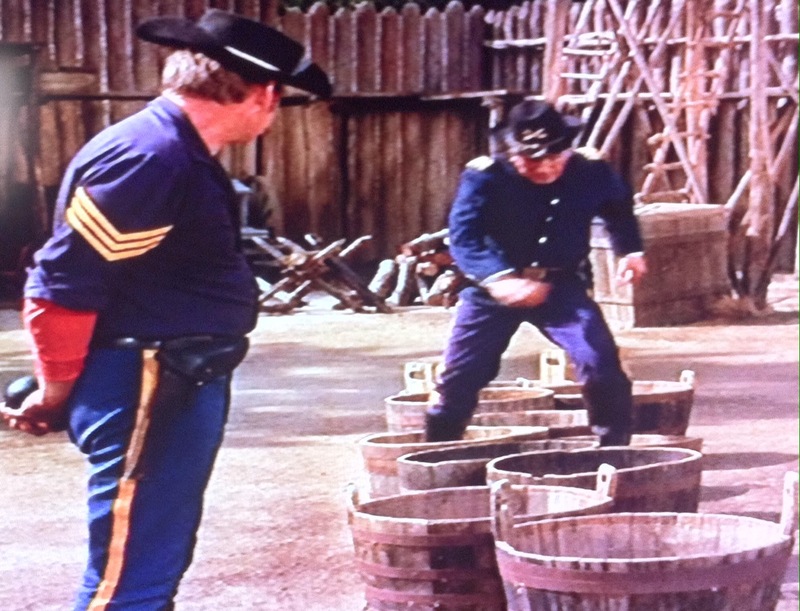 He called the Sarge over to place him in charge of Fort Courage for the time being. 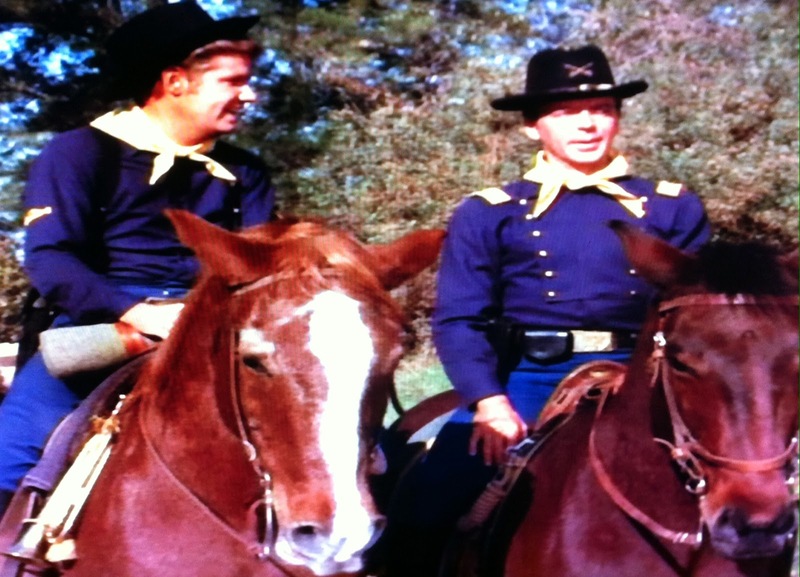 "Dobbs and I are going to ride out to greet the General." That's a real break for O'Rourke's scheme of the week, since now he only needs the temporary command to extend past the brevity of Private Wild Eagle's "enlistment". 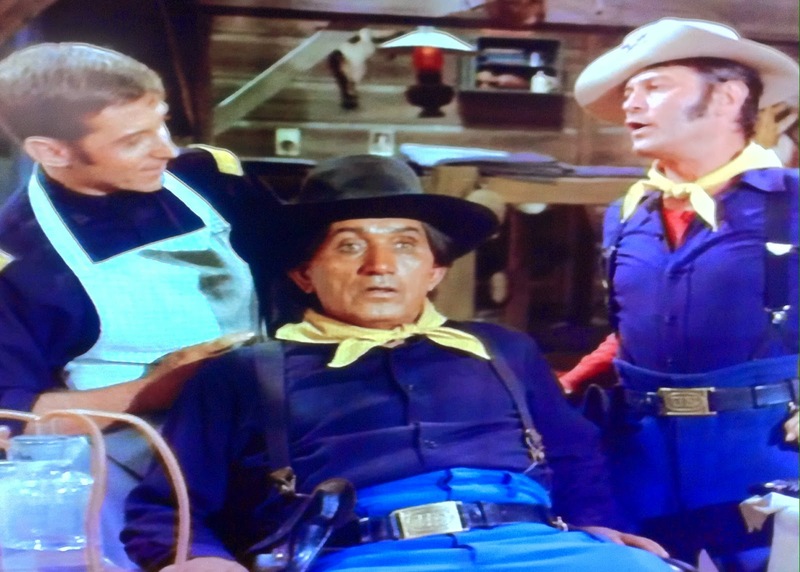 The newest F Troop recruit still isn't at ease, though, when he sees the patient before him exiting the dentist's office with Duffy (Steele). But, it's too late to turn back now. The Sarge stands guard at the door while Agarn accompanies Wild Eagle inside. In the dentist's office, we find a familiar face. 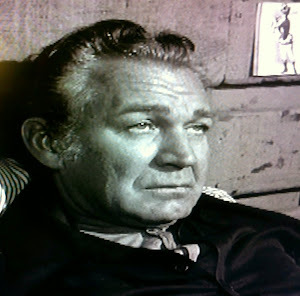 Lt. Goodbody is played by Hal England, who also played the Troop's doctor Lt. Anderson in El Diablo. Goodbody shares Anderson's soothing demeanor and (fortunately for Agarn) cluelessness, not batting an eye at Wild Eagle's refusal to remove his hat or his decidedly unmilitary haircut after he does. No, the Lieutenant is too busy reassuring the uneasy Chief that he "always" works fast, having finished his four year dental course in a mere 7 months. Okay, so that didn't work. 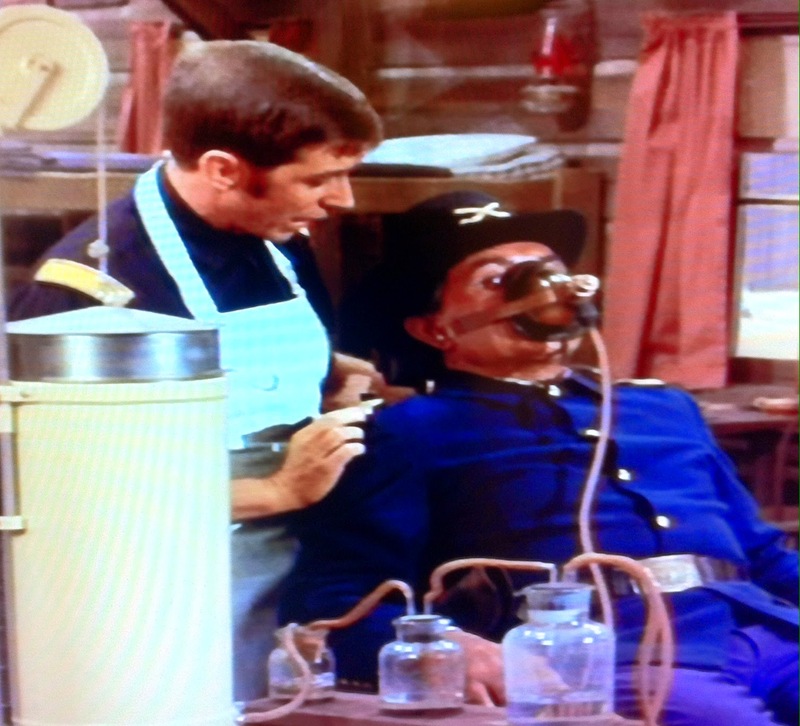 Maybe the laughing gas will, and Dr. Goodbody explains that it will take effect in a few minutes. At which time he'll be back for the extraction. 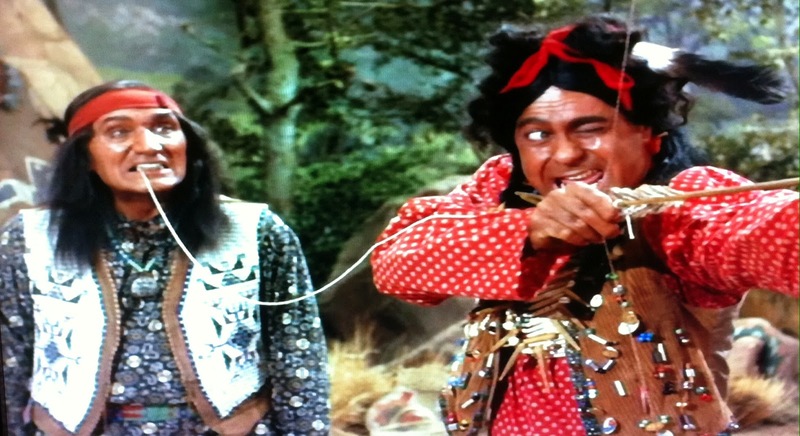 Incidentally, kudos to the Kalishes for the historical accuracy. Nitrous oxide (aka laughing gas) first came into general use at the Colton Dental Association clinics in the east in 1863--four years before it is depicted as reaching midwestern Fort Courage for the first time. 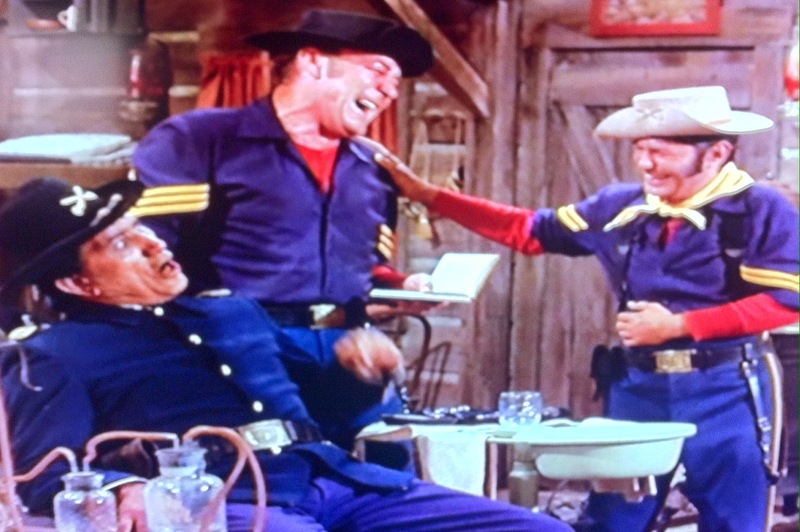 But once again, the Chief's dental work is interrupted, this time by the Sarge. 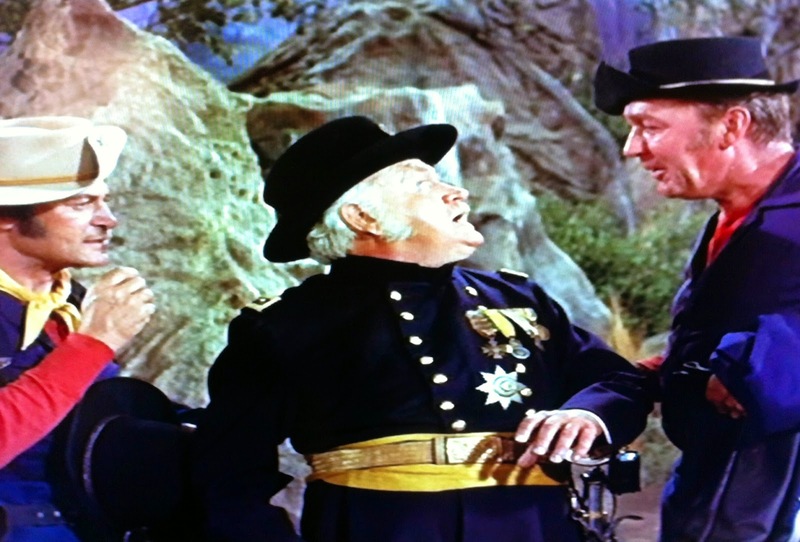 O'Rourke appears at the window with some distressing news: "General Courage is in town now!" 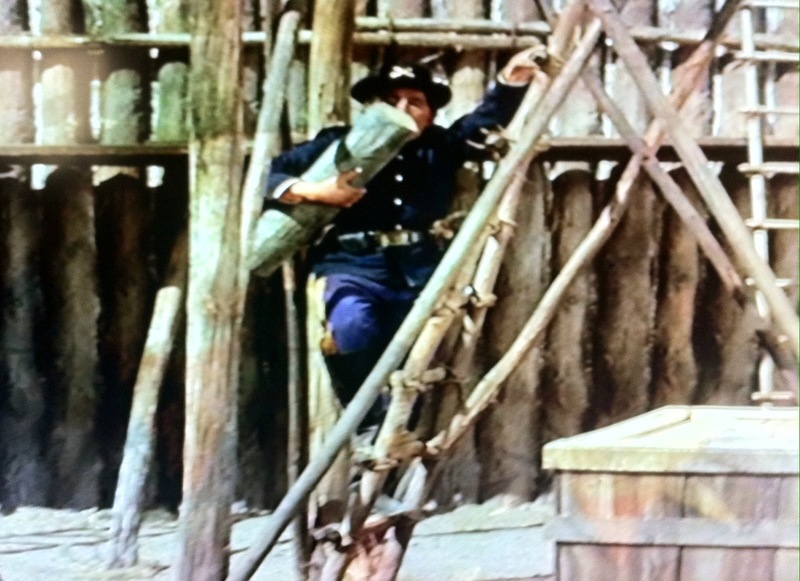 As ranking officer, O'Rourke has to go over the stage depot to meet him. Of course, panicky Agarn doesn't want to be left alone with the new recruit (what if the Captain comes back? ), so they agree to take Wild Eagle with them. Somewhat bold, true, but likely the least bad alternative. Besides, the Chief, who's had a few anesthetic whiffs already, confirms that he's feeling no pain now. 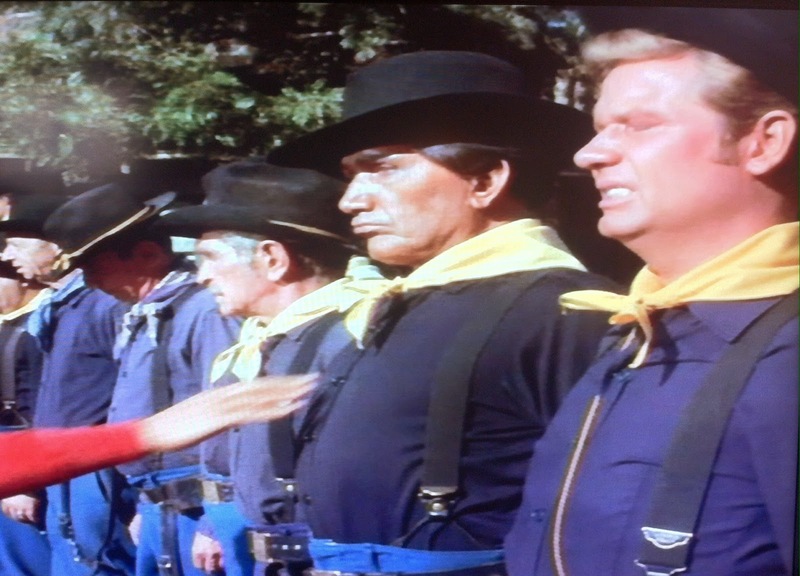 Meanwhile, at the stage depot, Wrangler Jane (Patterson) does her best to keep General Courage (Arquette) company while they wait for the troopers. Fort Courage's namesake proves that sometimes appearances aren't deceiving. We get the "in my day" idiom immediately: "They would have had a regiment to greet a visiting General!!" Fortunately Courage doesn't have to sputter and fume long, as O'Rourke, Agarn and Wild Eagle arrive to salute him. Well, the first two, anyway. Wild Eagle greets him with: "How!" Agarn stammers out a few "humminas" that would make Ralph Kramden proud. "That's his name, Sir! Private Howe!" 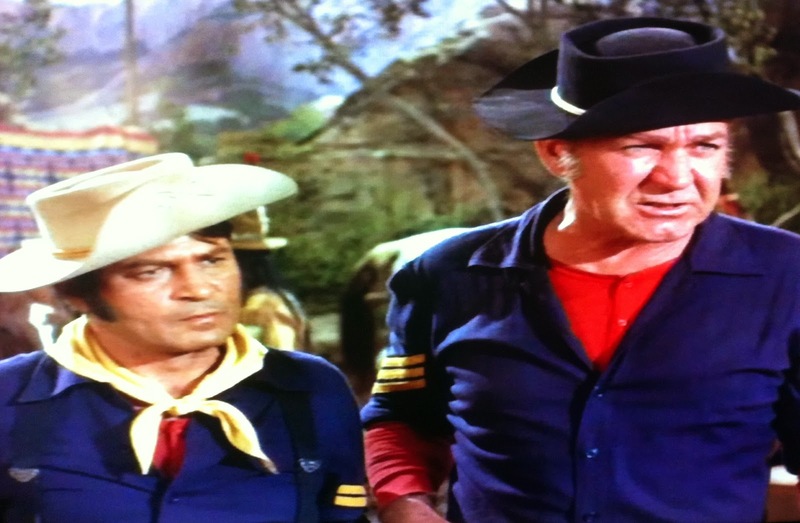 Who, O'Rourke further explains, volunteered to carry the General's baggage. 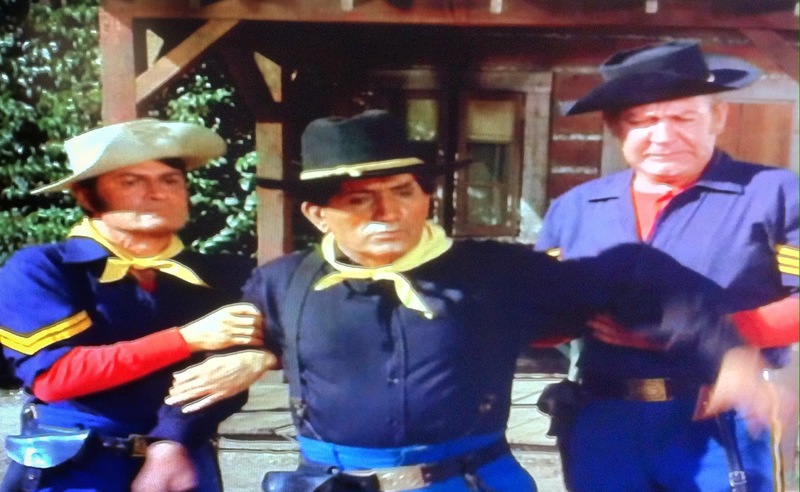 Courage has enough familiarity with F Troop to know that any volunteer "must be new around here". Very perceptive! En route to the fort, the men encounter a large puddle, which enables Private Howe to impulsively show further initiative by channeling his inner Sir Walter Raleigh--with Agarn's jacket. 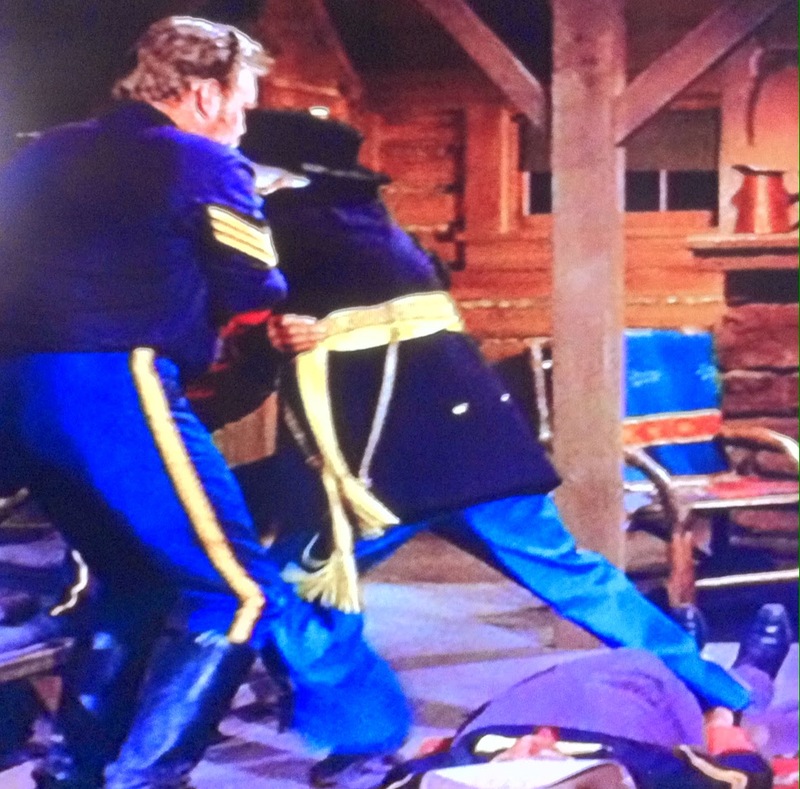 General Courage gives more than just mere credit when Howe "uses his head". He inflates the NCO ranks by one, promoting him to Corporal. 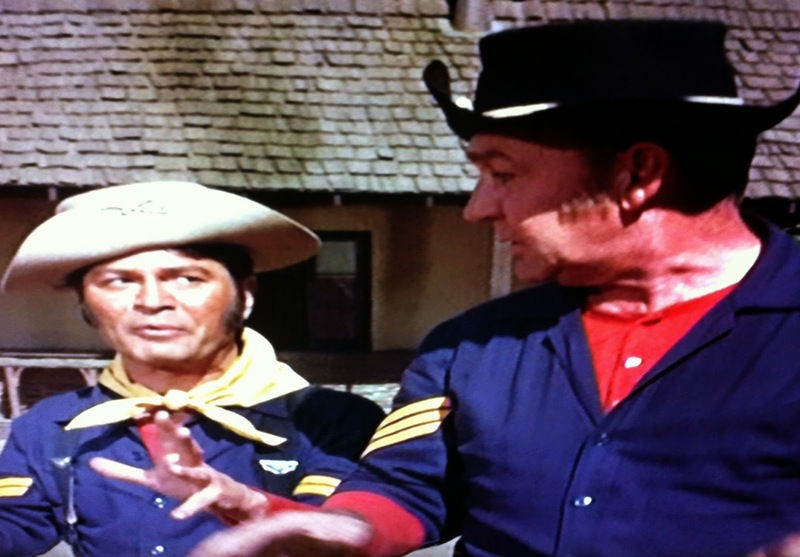 Not something that makes F Troop's existing Corporal happy, since Wild Eagle just accomplished in less than an hour what it took Agarn six years to achieve. Look at the bright side, Randolph. Now Wild Eagle has an official reason to be in the same quarters with O'Rourke and Agarn, so it'll be easier to keep an eye on him. If they can keep him from sleeping on the ground outside, which is the Chief's preference. It's a good thing they didn't allow that, since General Courage continues his sentimental journey by visiting them in the non-com quarters. Clearly, General Courage is enjoying his trip. 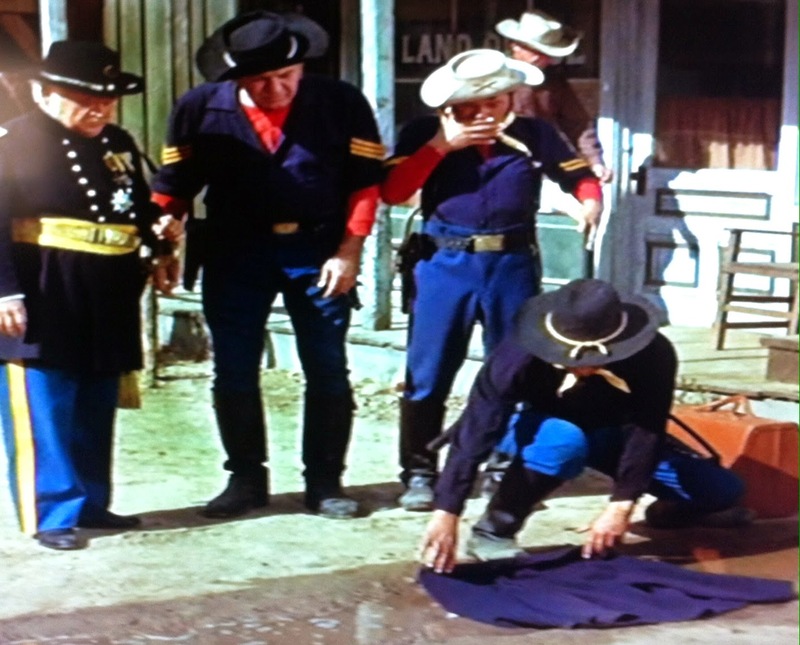 Initially outraged at the lack of a cot for Corporal Howe, the General is pleased when he learns that sleeping on the floor is the new NCO's preference. So pleased, in fact, that he decides another promotion is in order. The sleeping soldier will now be Sergeant Howe when he wakes up. O'Rourke cautions that Wild Eagle will be back soon, and once the Sarge is back at the fort, Corporal Agarn has good news and bad news. The former being that they're already rid of Sergeant Howe. The bad news? It's because he's now Lieutenant Howe. Too bad we weren't shown the scene that Corporal Agarn describes. 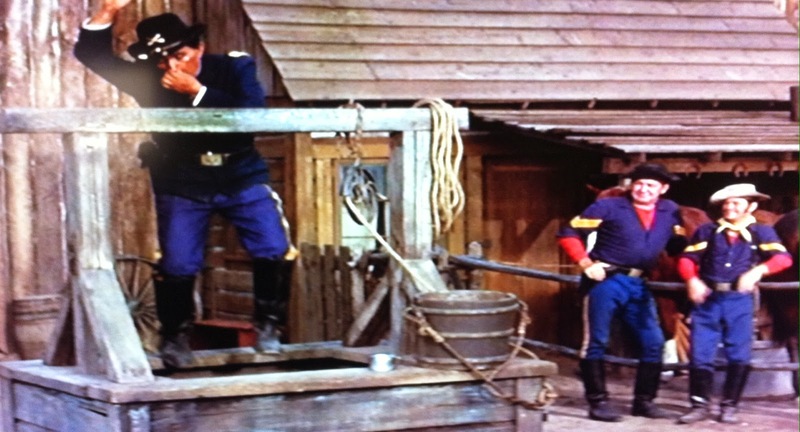 They fired the cannon to honor General Courage. As always, the tower fell--and would have fallen on the fort's namesake, only Wild Eagle pushed him out of the way, leading to his commission in the field. O'Rourke has had enough, but Wild Eagle isn't going to the dispensary. "A good officer learn to live with pain!" 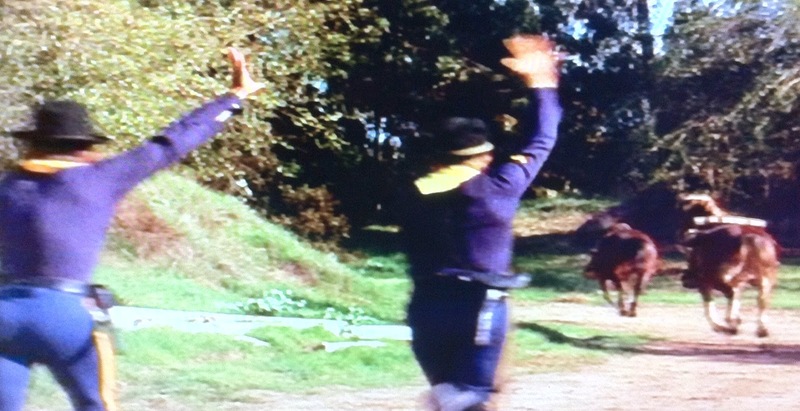 He orders his new underlings to salute him, lest they lose their stripes! Well, looks like Crazy Cat can enjoy his own promotion a little longer. But hey, where did Captain Whatshisname go? Fort Courage's C.O. and bugler are still lost, and it has to be 24 hours since they left now. Probably time for a search party, but with the turmoil back at the post, who's going to order it? Wilton feels a renewed sense of urgency to find his way back, since it suddenly strikes him that that "strange looking trooper" (Dobbs: "Which one is that Sir? 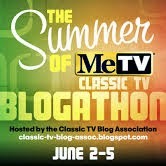 We have so many.") was in fact Wild Eagle! Eager to get back and check out his hunch, the Captain tries turning navigation over to the horses, who "have the instincts of homing pigeons". That they do. Unfortunately, they are just a wee bit faster than the men are on foot. 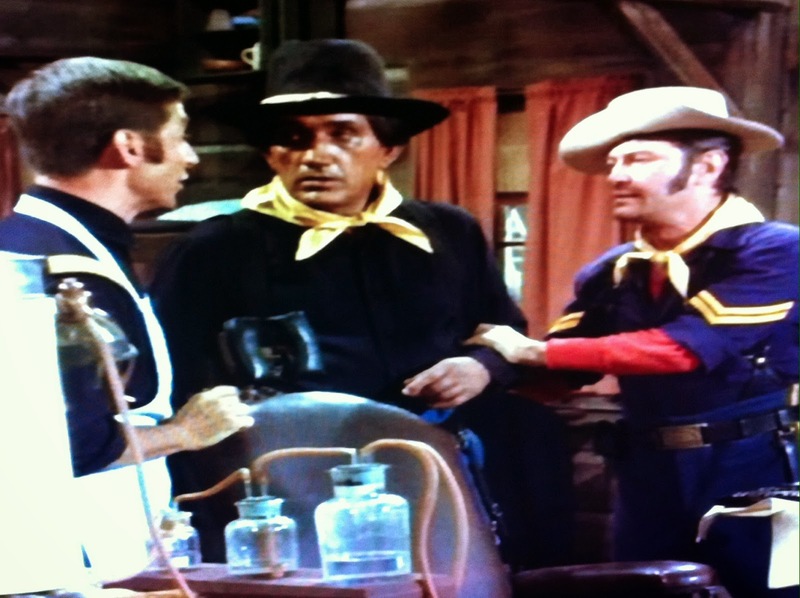 Too bad, since the commanding officer be missing a powwow that has been called by General Courage with F Troop's other leaders concerning the Hekawi. "Good subject," declares the newly commissioned Lieutenant Howe. General Courage has the same worry that every clueless visiting officer has: the possibility that the Hekawi will go on the warpath. 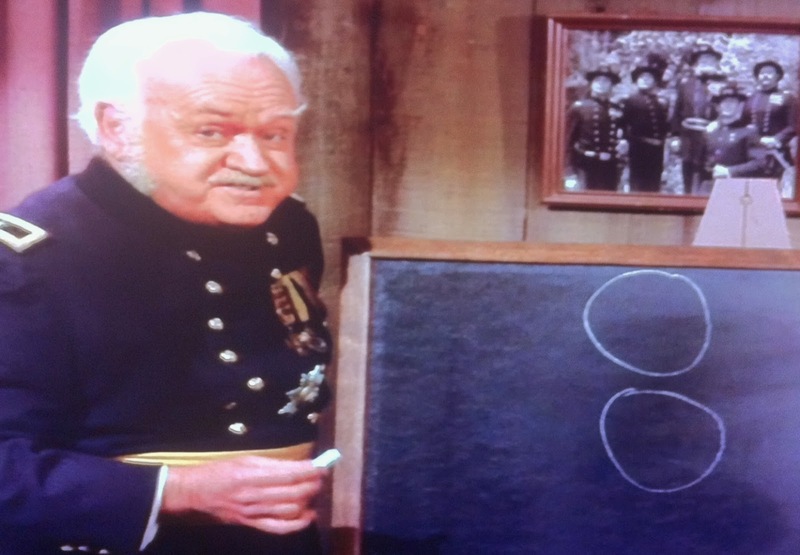 Despite Lieutenant Howe's assurance that Wild Eagle is a "big peace lover" (and he should know), he does have a suggestion for keeping treaties intact: "Money!" The General, puzzled initially, quickly finds value in this suggestion: setting the Hekawi up in business for themselves! Howe further suggests calling it Hekawi Enterprises, and the new soldier's winning streak continues. 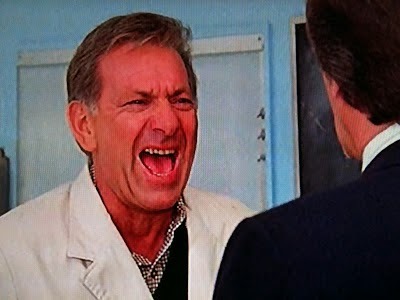 "I'm promoting Lieutenant Howe to Major, and putting HIM in charge of the Hekawi Enterprises!" 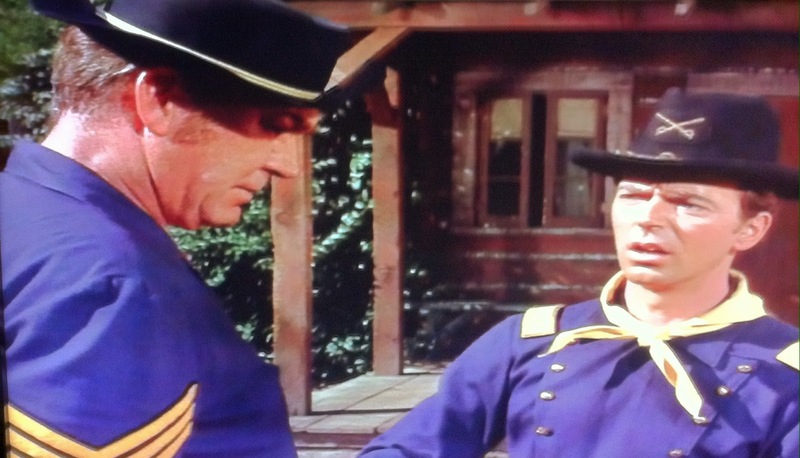 Naturally, there won't be room at Fort Courage for two commanders, so just one episode after he passed the test for Major and turned it down to stay (The Majority of Wilton), Parmenter finds himself being booted out anyway. In fact, his office is already being cleaned out for him in absentia as a crying Wrangler Jane exits. (Nagging Question # 1: Isn't anyone worried about Parmenter and Dobbs making it back at all at this point?) Stunningly, Corporal Agarn dries up the tear ducts for once after the Sarge's sobering assessment of the effect of this promotion on their finances. It's time for the Corporal's frequent question, always asked when it looks like O'Rourke Enterprises might go the way of Lehman Brothers: "What are we gonna do, Sarge?" The crafty Sergeant always thinks of something, and finds his ace in the hole right there on Parmenter's desk--the Officer's Manual. In the meantime, Fort Courage's new commander is back at the dispensary, finally about to get that tooth pulled by Lt. Goodbody. The dentist exits to let the laughing gas take effect, but he'll find his patient missing yet again when he returns. Manual in hand, O'Rourke and Agarn have arrived to take Major Howe away again. "You're leaving the army!" The gloves are off, and so is the anesthesia mask filling the air with nitrous oxide, of course. Wild Eagle disputes that he'll be leaving the army, noting the fun of "working his way up the ranks" all over again (how long did it take him to become Chief?) and the added security of an Army pension. But the manual doesn't lie, though it can be hard to understand when the men reading it have been getting high off the gasses in the air for about thirty seconds. Wild Eagle laughs it off himself; he's ready to take the "qualification test" by proving his physical fitness right away. 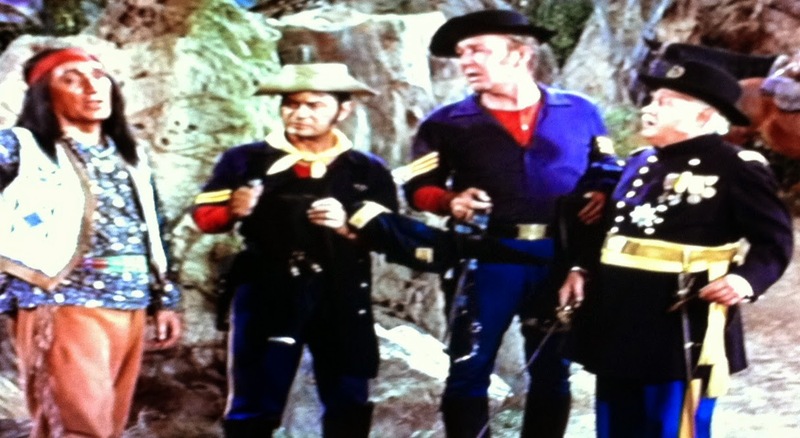 Once General Courage is encouraged to continue his nostalgia tour by taking the entire troop out for a hike, it's time for Major Howe to earn the respect of the men under his command. (Nagging Question # 2: How's he gonna do that when none of them, save O'Rourke and Agarn, are there to witness this?) The first test involves a big pile of chopped firewood being carried up to the lookout tower log by log--then being carried back down the same way. 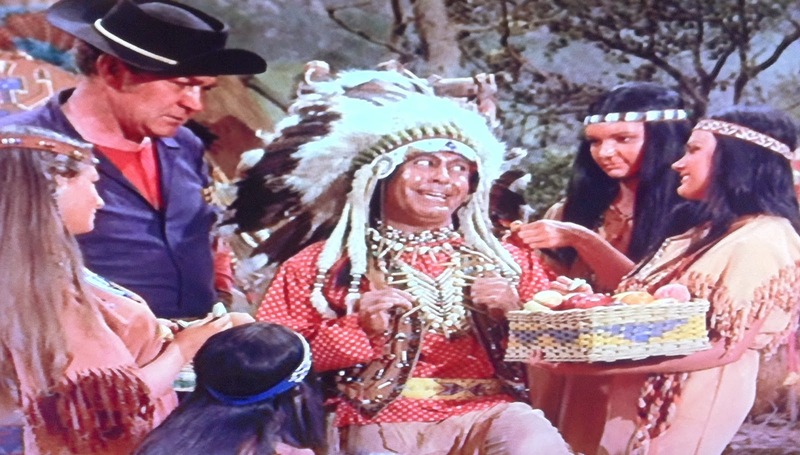 But he surprises the soldiers, just like Agarn previously surprised the Chief during his Hekawi initiation. Wild Eagle makes it past this first hurdle, and it's on to the well. How deep is it? Just to the bottom. 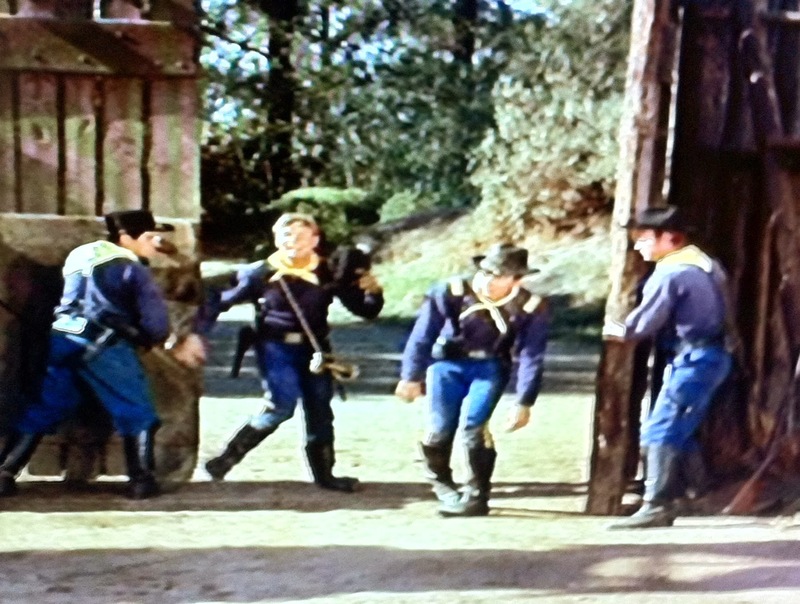 If this series of tests is truly a requirement for commission, we now know why no one in F Troop ever receives one. Wild Eagle, on the other hand, shows that he is in damned good shape. Maybe sleeping on the floor really does toughen you up! Finally, though, the combination of fatigue and a cannonball brings the first bump in the road, and a now sweaty Wild Eagle is breathing heavily and ready to go back to being Chief of his tribe. There's four more tests, and he declares himself too pooped to pass. There's the little matter of getting rid of the evidence at a big rock (not the one that looks like a bear) outside the Fort after Wild Eagle's resignation. While this is in process (along with plans to announce Major Howe as A.W.O.L. 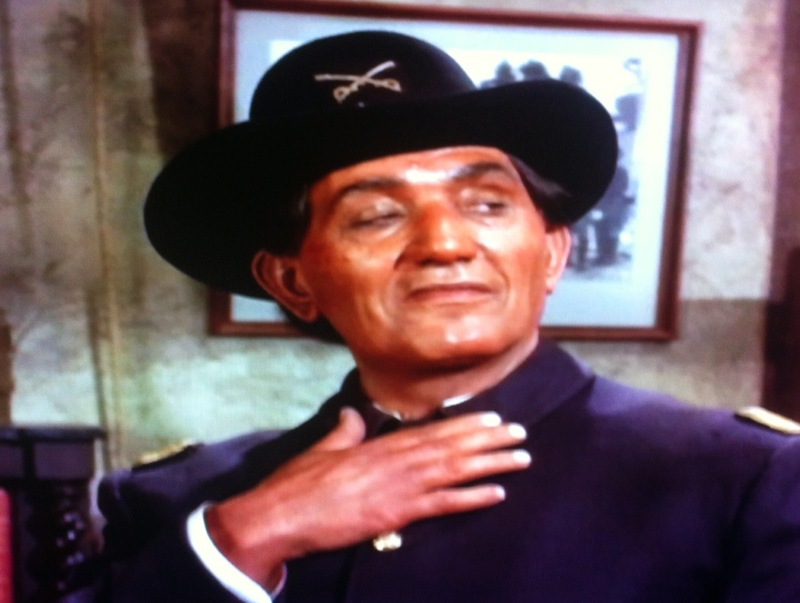 ), General Sam Courage continues to prove himself very worthy of his namesake. He's hopelessly lost and none of the men are following his directions. Matter of fact, they're nowhere to be found. He's as lost as the Captain when his compass takes him to the scene of the crime. "Traitors! Murderers!!" This takes a little explaining, especially after Wild Eagle emerges and declares Major Howe "all gone". 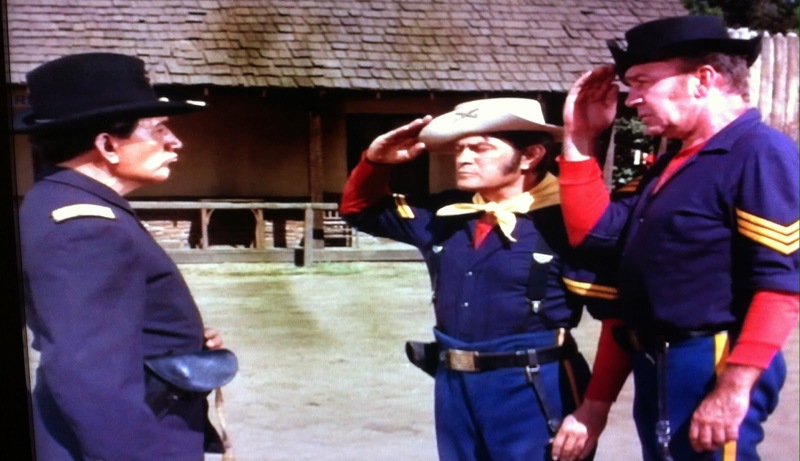 Once the Chief and Major Howe are proven to be one and the same, the General has a new charge: foisting an imposter Major on the United States Cavalry. 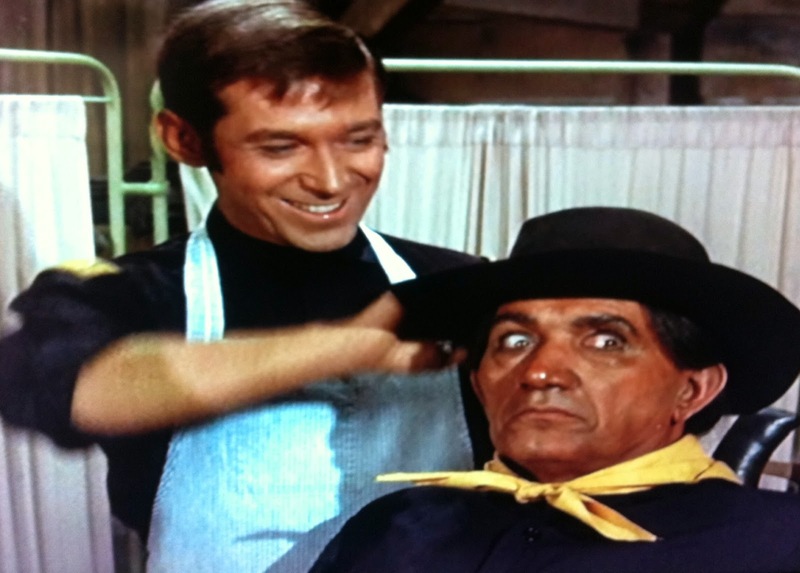 Sticky situation, but O'Rourke reveals a bargaining chip. Since Wild Eagle was snuck in as a Private, and the General actually promoted him up through the ranks, he'd be exposing himself. No retirement with honors. No book deal for his memoirs. "They might even change the name of Fort Courage!" Regardless, the point is proven, with the short-lived Howe Era will remain their secret. 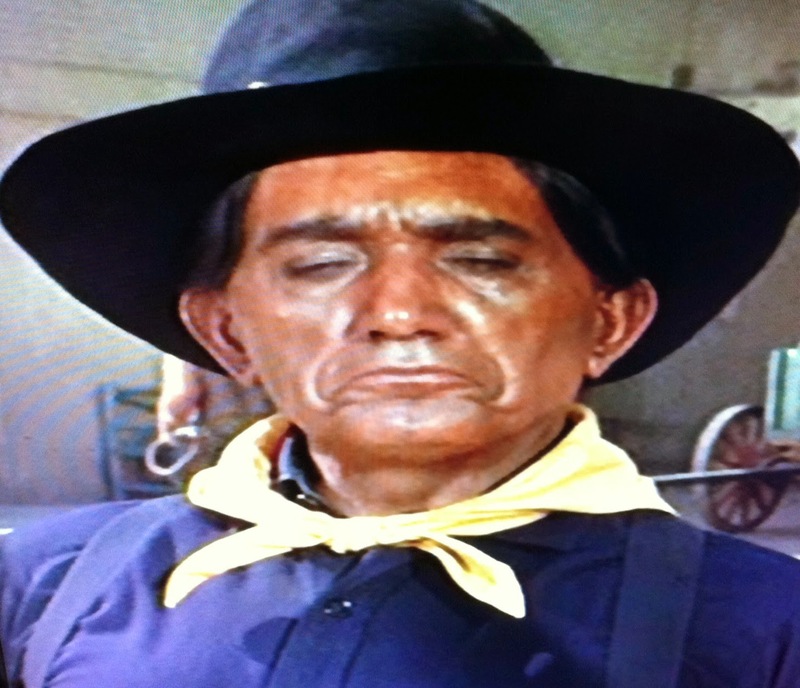 The General proving his worth by trumping O'Rourke's "AWOL" idea. 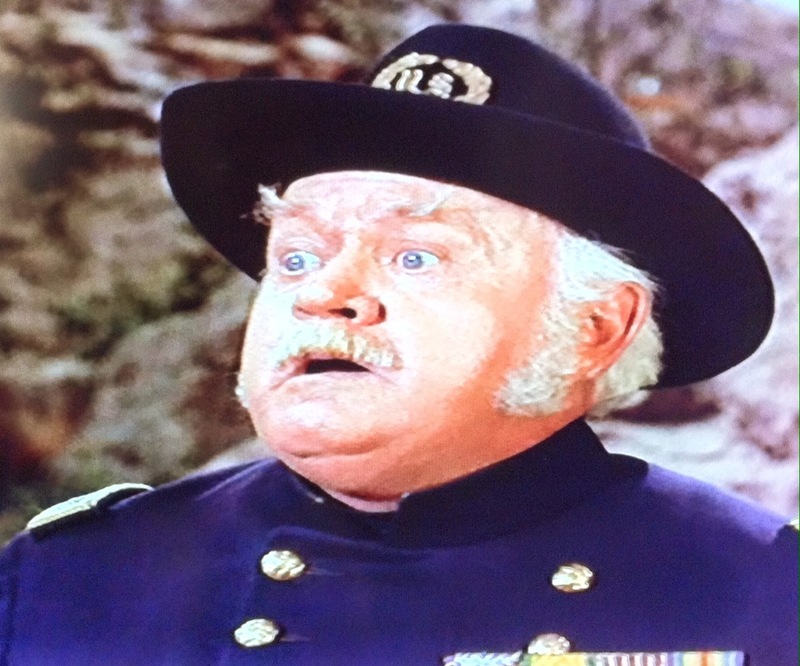 "I'll transfer Major Howe to a desk in Washington!" Thus ensuring he'll never be heard from again. In the coda, well, we can finally stop worrying about Captain Parmenter. He's made it home--safe, if not exactly sound. When he suggests that Wild Eagle is in the troop, plotting to take over the fort, O'Rourke, Agarn and Courage all laugh it off. with the General especially peeved at the suggestion that any such chicanery could go on in his presence. 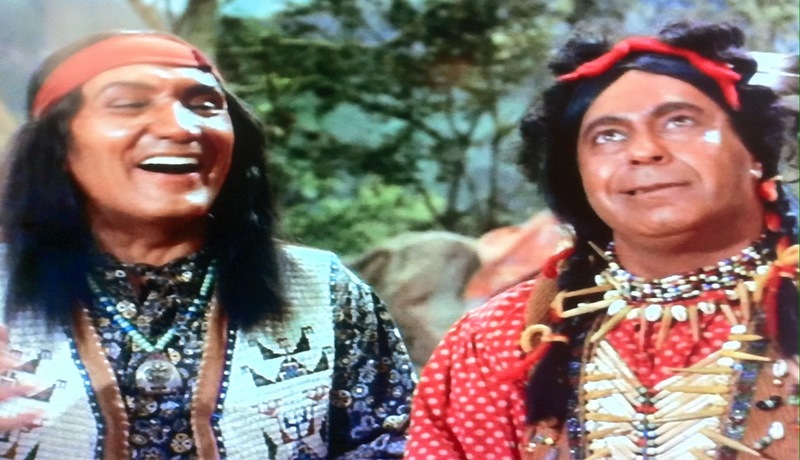 "I could spot an Indian the minute I seen one!" "It's all the teeth", explains the General, at the precise moment that a full set of teeth flies into the frame tied to an arrow. Hopefully it isn't Wild Eagle's. (For what it's worth, he isn't toothless in the subsequent episode, Is This Fort Really Necessary?) If it is the result of Crazy Cat's modern tooth pulling, Wild Eagle's comment in the opening scene proved sadly prophetic. 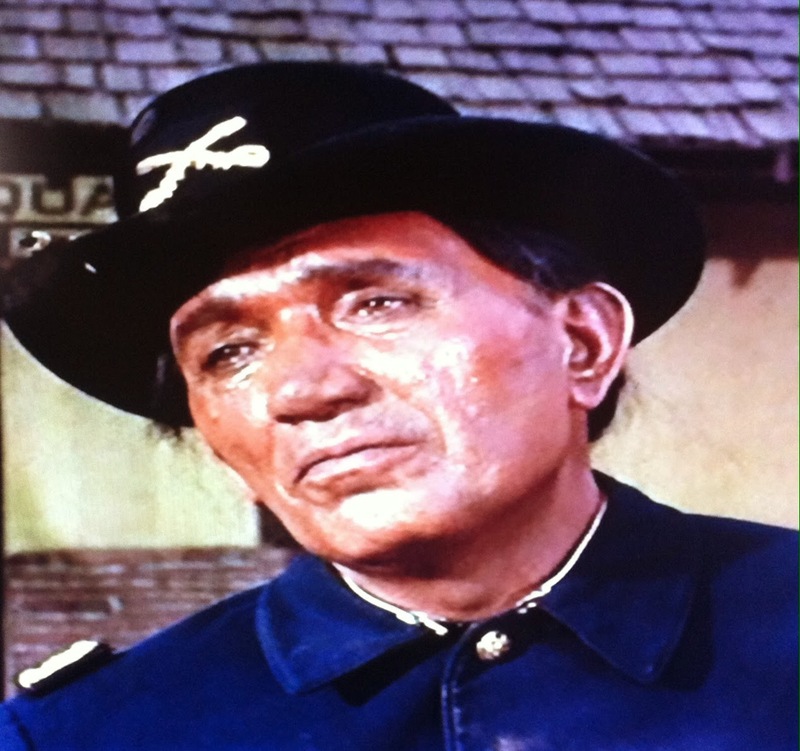 The next to last episodes of both seasons (The Day the Indians Won, Our Brave in F Troop) found Hekawi Chief Wild Eagle taking over Fort Courage--the only two times this ever happened. 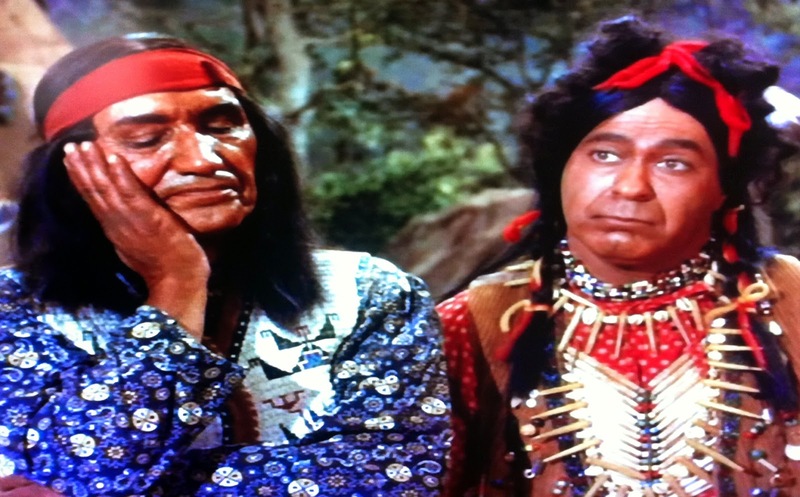 Since Chief Wild Eagle spent most of this episode as a soldier, we don't get one. His assistant does have a memorable line while filling in. "When Wild Eagle away, Crazy Cat play!" Once, and General Courage comes right out and calls O'Rourke and Agarn traitors. Murderers too! 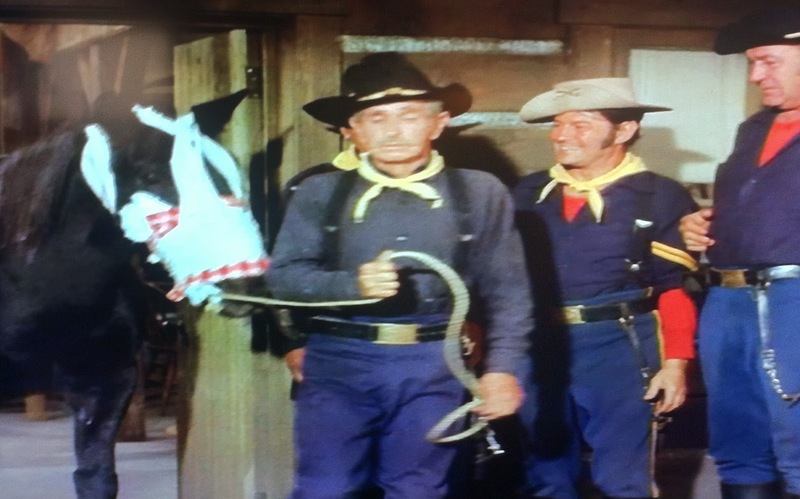 Chief Wild Eagle proves to be the best conditioned and most industrious soldier in the history of F Troop during his brief stay. 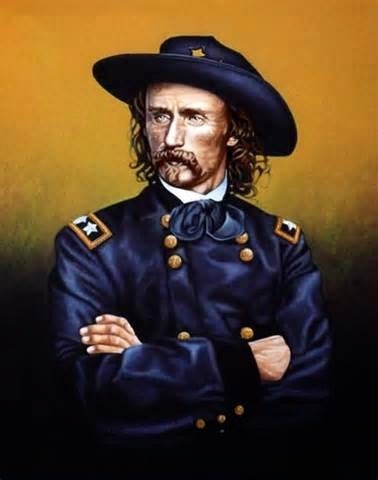 His rapid move up the ranks would make Custer green with envy, and he takes charge of both Fort Courage and O'Rourke Enterprises in what can literally be described as a bloodless coup. 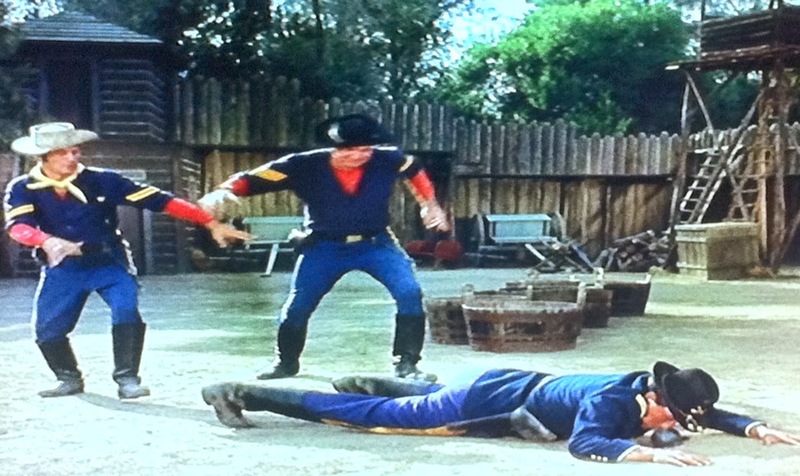 That said, the parting words of the "Major" might raise a few eyebrows: "Better red man than dead man!" 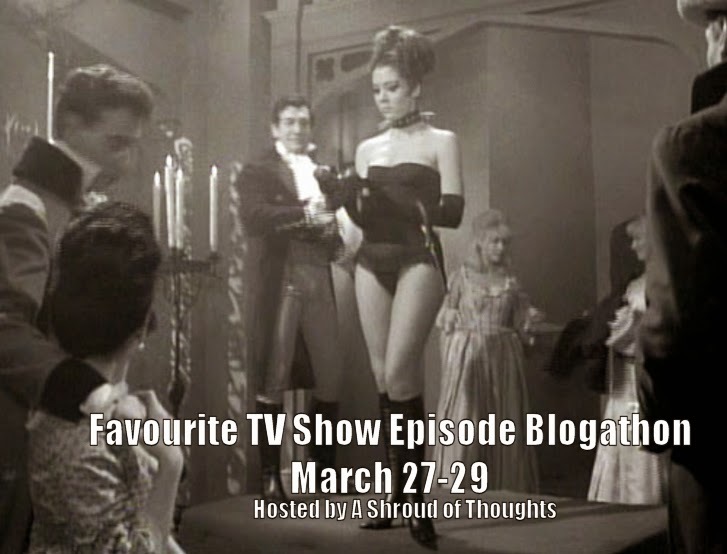 I chose to highlight this one for the Favourite TV Episode Blogathon over several other contenders. 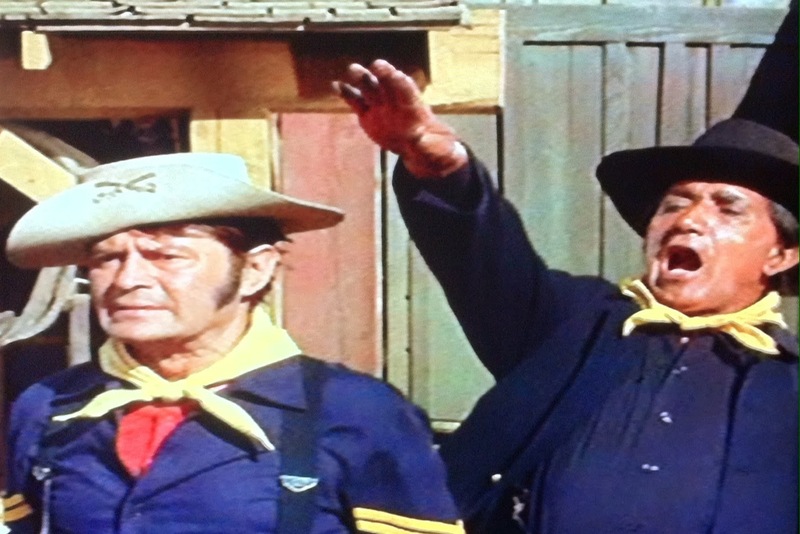 Our Brave in F Troop stands out, as a perfect blend of the first season's foremost comedy drivers with the heightened surrealism of the second season. Too much! Reading your rundown was as fun as watching the episode. 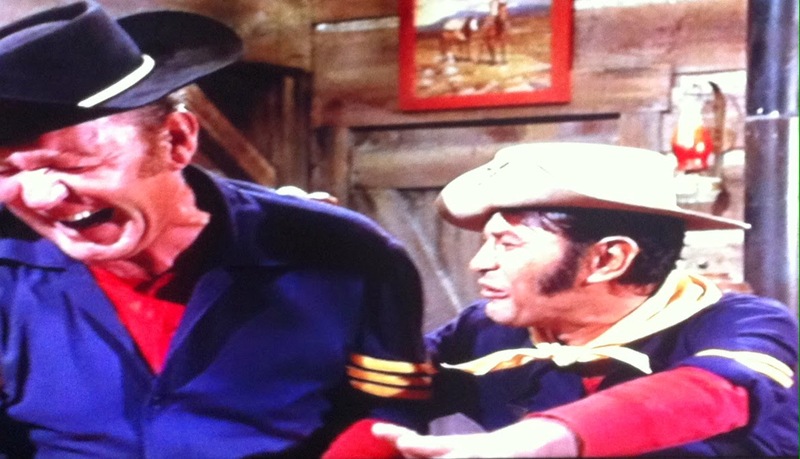 Of course, you've long known how much I love F Troop. 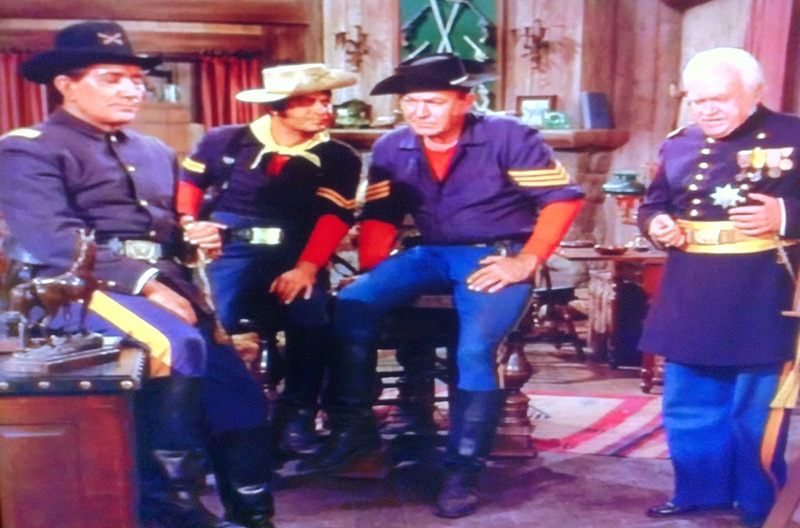 It is hard to pick a favourite episode, but "Our Brave in F Troop" would be up there. I think you are right. I combines the best elements of both the first and second seasons! 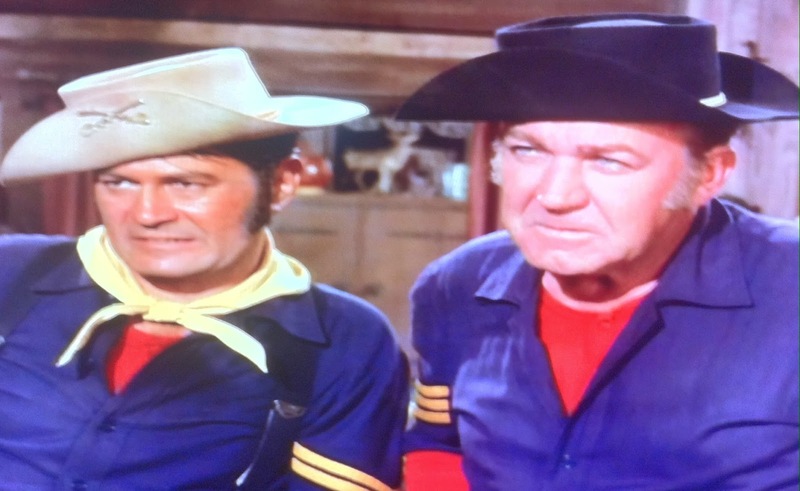 And I have to say I always love your write ups on F Troop. They are a whole lot of fun! 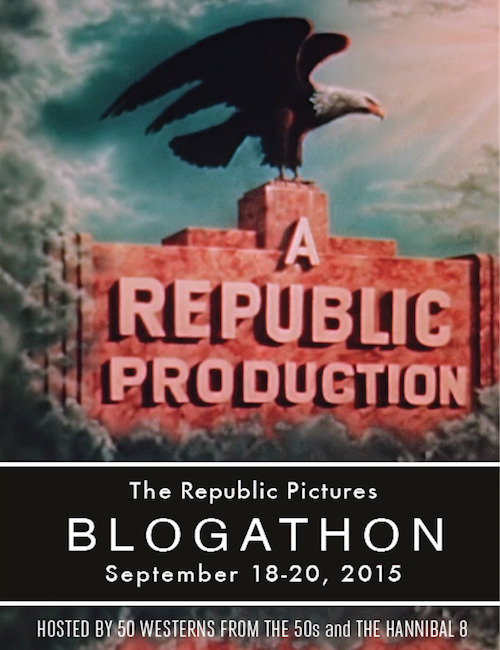 Thank you so much for contributing to the Favourite TV Show Episodes Blogathon! Terence: My pleasure; always happy to participate. 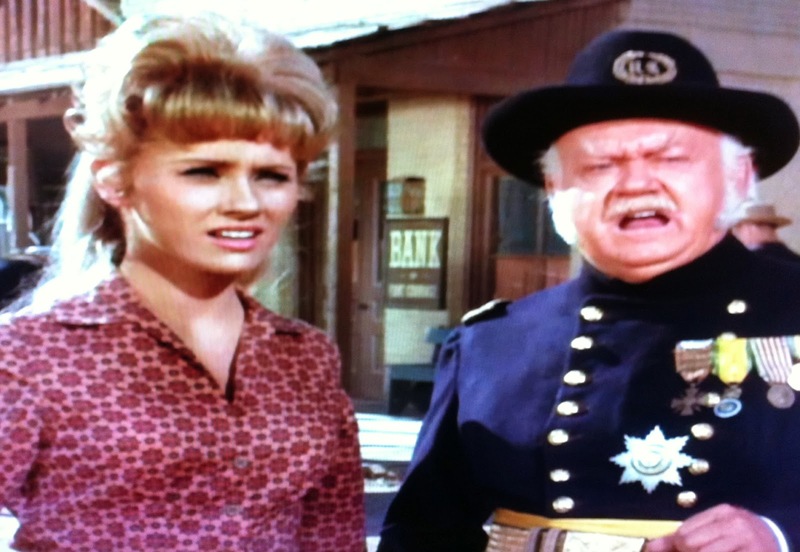 Thanks for being a regular F Troop Fridays reader too! 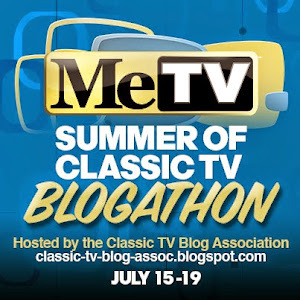 Elisabeth: Yes, that episode was one of the earliest! The Return of Bald Eagle. 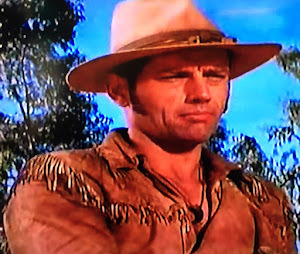 He was actually revealed to be Wild Eagle's son in the episode, but disowned, obviously, since he was never in line to become the next Chief and was never heard from again. :) Thanks for reading!